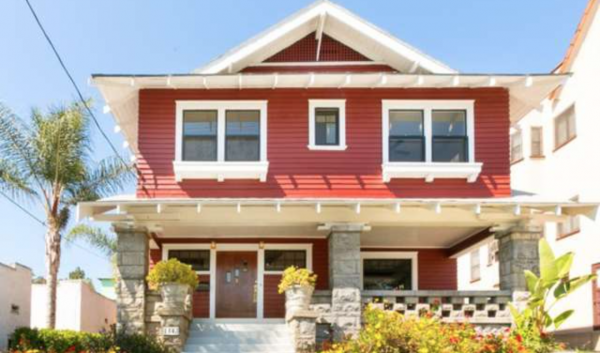 As a realtor and a blogger — serving not just Echo Park, but the surrounding area as well — we see a lot of very attractive homes that we really like and may even secretly desire. But, I’ll just put this out there — I want this home. It ain’t perfect, but if anyone has half a vision, they can see a ton of upside. 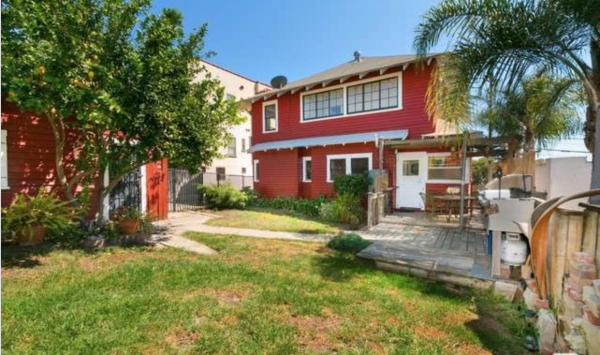 The street is a little busy, and some of the rooms could use an update, but with 4 bedrooms, 2 bathrooms and a generous 2,500 square feet of living space, $749,000 is a low list price. 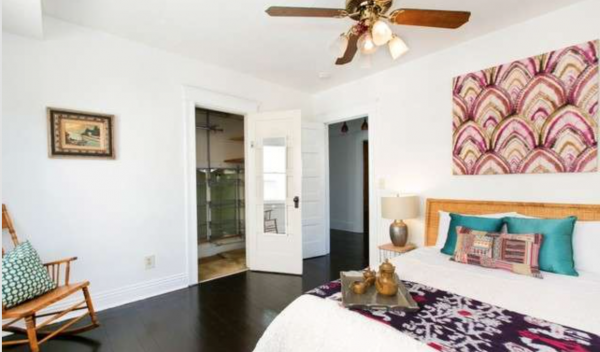 Built in 1910 and located in an Angeleno Heights HPOZ, most of the rooms have been maintained with period detail all around. 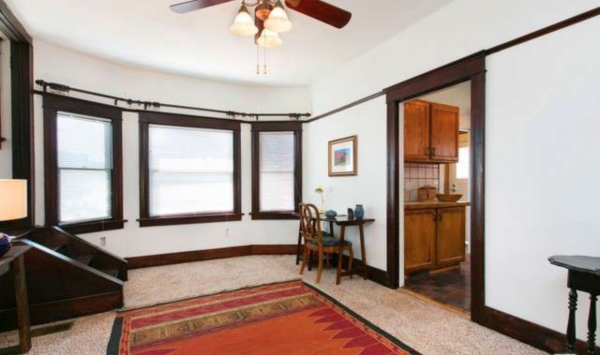 Dark hardwood flooring, pocket doors, built-ins, and dark interior window moldings let you know this is a most definitely a Craftsman. The living room and dining room make the strongest case with large, richly textured built-in book shelves, buffet cabinets, wainscoting, crown molding, and appropriate lighting. 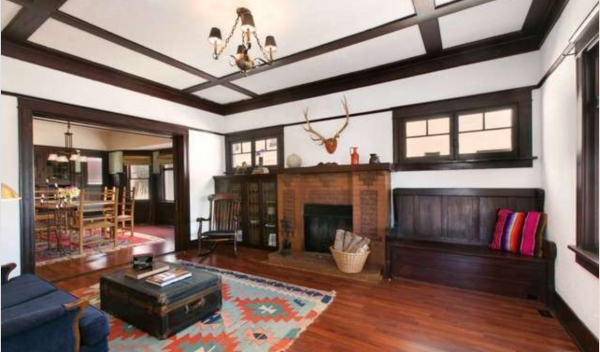 Whether functional or not, the brick fireplace remains beautiful. The kitchen and family room have been hit with some unnecessary updates. 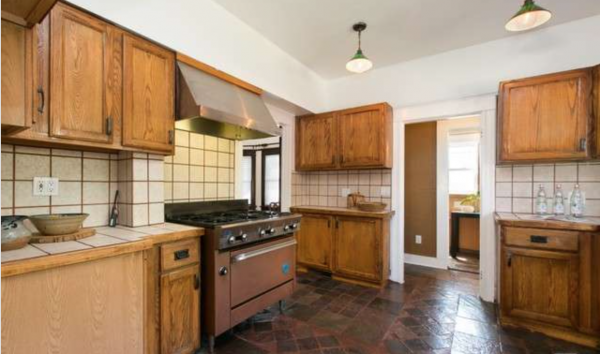 The only thing inspiring about the kitchen is the oven — otherwise the 80’s are alive and well. 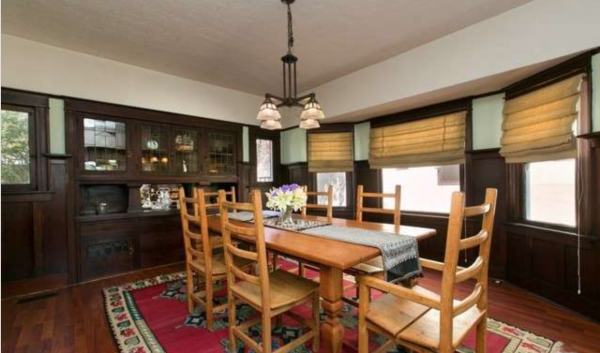 But the space is good, with plenty of cabinetry so all updates would most likely be superficial. 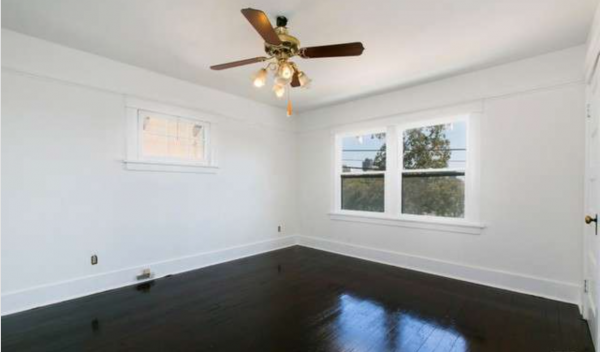 As for the family room, all it really needs are some matching wood floors. 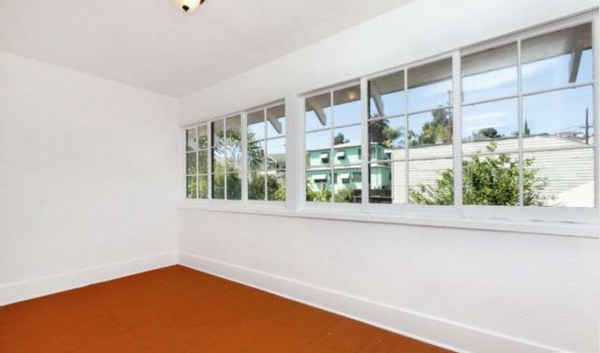 Upstairs you’ll find more built-in storage, more rich wood flooring, and some larger bedrooms. 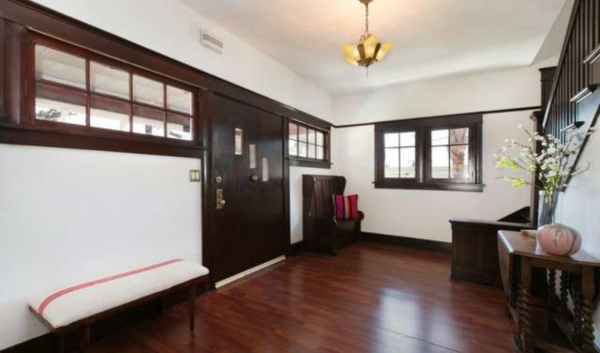 The master is particularly spacious with lots of light, but does lack the modern touch of an en suite bathroom. For some a small price to pay, for others, a deal breaker. 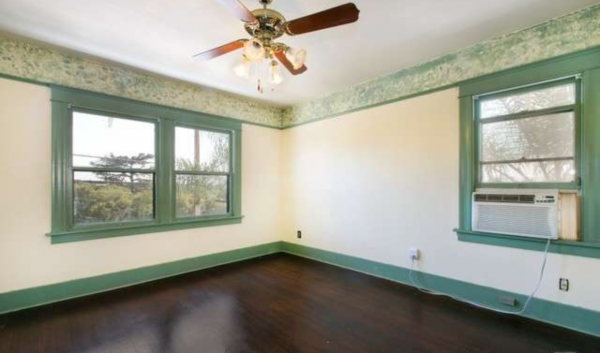 The other rooms are all a decent size, though they could all use a little updating. Some interesting decisions were made for the bathrooms. 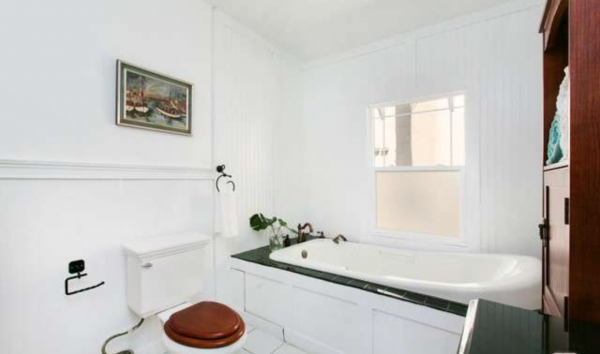 While some period touches remain in the upstairs bathroom, the tile, and possibly the tub, must go. 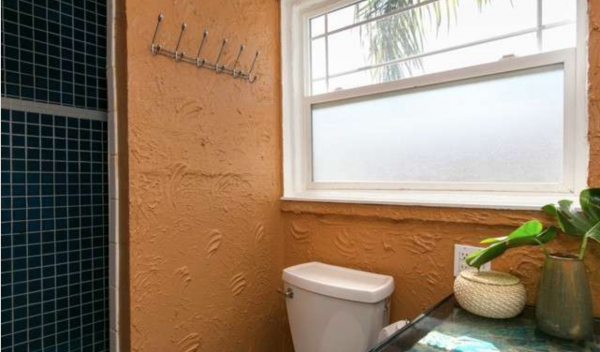 I don’t know where to begin with regard to the first floor bathroom. 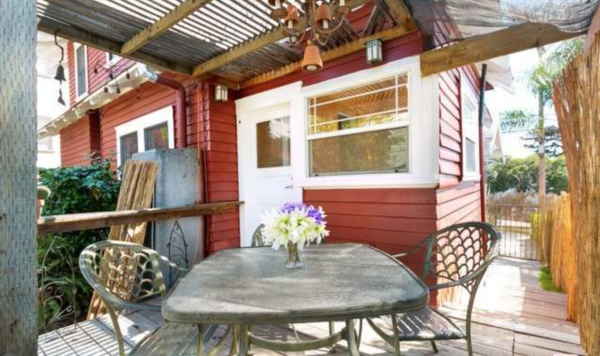 With a lot size of 5,200 square feet there is a decent amount of space out back with a small porch, a bit of greenery, and a two-car garage just begging to become a studio. 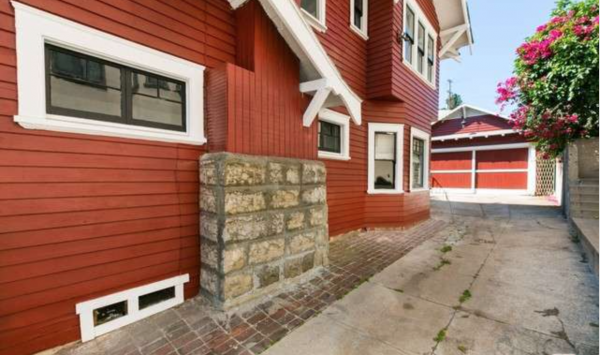 Gail Crosby and Ellen Philips of Sotheby’s International Realty have the listing.